What is Hasbro Furby Connect Friend Toy? This 2018 Furby Connect friend has colorful eyes that display more than 150 animations to help express what Furby wants. Interact with a Furby Connect friend by petting, tickling, or shaking Furby, turning Furby upside down, or even moving its antenna like a joystick — then see how Furby reacts! When this Furby Connect friend syncs with the Furby Connect World app, there are more physical and digital ways to interact and more surprises to discover. Furby is an American electronic robotic toy released in 1998 by Tiger Electronics. In 1999, the Furby Babies line was introduced. Furby Babies are smaller than the original, have higher voices, and cannot dance, but they switch to speaking English more quickly. They also have an extended vocabulary and different “Easter eggs” and “games” built into them. Furby babies come in 24 different colors. All have white eyelashes and one of six different eyecolors. Novel Furbies were also released, including an interactive Furby-like “Gizmo”, from the film Gremlins, a Furby-like “Interactive Yoda” based on the Star Wars character, and a Furby-like “Interactive E.T.” from the movie of the same name. Another “friend of Furby”, called “Shelby”, is similar to Furby, but looks like a clam, has vast improvements in memory, and has a different personality; it was released in 2001 and can communicate with the original Furbies and Furby Babies. They also have sensors that can sense loud sounds, can sense being upside down (they say things like “Shiver me timbers” and “Walk the plank” when left them upside-down for an extended period of time), and they laugh when “tickled” (their antennae – or “tennies”, as they like to call them). They also purr when “petted”. They can be fed by sticking a finger in their mouth. Similarly, Shelbies do not have their own names, unlike the classic Furbies. Shelbies are also capable of knowing if it is talking to a Furby or another Shelby, saying phrases such as “Where’s Furby?”—though they cannot differentiate between a Furby and a Furby Baby—they just assume it is a Furby. In addition to English, Shelbies also know some Furbish words and also have their own unique language called “Shelbish”. This Furby was released in August 2005. Larger than the previous version, the new Furbies have been upgraded with a more emotional face and a voice recognition system, enabling them to communicate with humans. Unlike the Furbies originally released, just one order is necessary to make them ‘sleep’, and they have an on/off switch. They can communicate with other Emoto-tronic Furbies, though to a lesser extent than the communication between original Furbies, and they cannot themselves communicate with the original Furbies nor Funky Furbies. They also lack light sensors and basic motion sensors and do not respond to loud sounds as the originals do. These Furbies, according to the story they come packed with, are from Furby Island. In 2006, a new version of Furby baby was released, with most notable features being the new look and a more “baby-ish” appearance in contrast to the Emoto-Tronic Furby adult. They also have considerably fewer features than the “adult” Furby, with a very limited vocabulary and a lower level of interactivity. Another notable feature of the 2006 Emoto-Tronic Baby Furby is the movable “legs” which unfurl when Furby baby is awake. Although they were a European exclusive, they were sold in the US via the Hasbro Toy Shop website. The Funky Furbies were released in August 2006 outside the United States. They are limited to two color combinations (pink and yellow; purple and green), and they can sing three new songs and dance. They can be taught dance routines and remember them. A new Furby was released in the fall of 2012. It has more expressive LCD eyes, a wider range of motions, its own iOS and Android app, and the ability to adapt its personality in reaction to user behavior. The on-off switch is replaced with a reset button; the Furby turns itself off after one minute of inactivity. A series of toys called Furby Party Rockers was released in addition to the 2012 Furbies . Those feature pre-programmed personalities that differ between the various models. Instead of the screens that the full-size Furbies feature, their eyes are made out of transparent plastic with a backing that has a static pattern printed. The eyes have LED backlight and the printed image is stereoscopic so that it changes depending on the viewing angle. The Party Rockers don’t have any moving parts. In summer of 2013, about a year after the Furby 2012 came out, a new Furby was released with new different colors and new Personalities. It has a brand new iOS and Android (operating system) app, called Furby BOOM, with many new features. In June 2014, a toy version of the Furblings from the Furby Boom app was released along with a Golden limited time one. It can communicate with Furby Booms, and can be used with the app too. The release for Christmas 2014 is called the Furby Boom Crystal series, with a redesign of the ears, face and feet and a new bright neon fur. The iOS and Android apps have also been redesigned. In early 2015, it announced toy version of the Furby Boom Crystal Furblings from the app were released. Like the other Furblings, it can communicate with Furby Boom Crystals, and be used with the app. In June 2015, a Furby that resembles Chewbacca from Star Wars was released. It is similar to the Furby Boom because it can hatch Furblings with the same app and more. It is known as the Wookie Furby and the new Furby Friend. 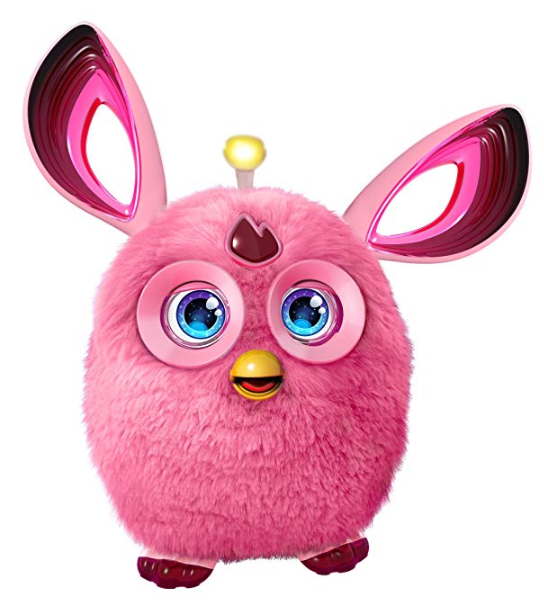 In 2016 another new Furby with more expressive eyes and movements was released, along with an app containing a whole world of Furblings for it to interact with. The Furby Connect has a translucent plastic joystick on its head which lights up different colors when toggled and is used to control games played with Furblings in the app. Unlike the 2012 Furby and Furby Boom, the Furby Connect does not change personalities. However it can sing songs that it “learns” from the app. What are the top gift ideas for Christmas? The tradition of gift-giving is an old one, but it became associated with Christmas more recently. Impress Everyone on Your List this year. Everything to get you through this holiday season from the hottest gift ideas. 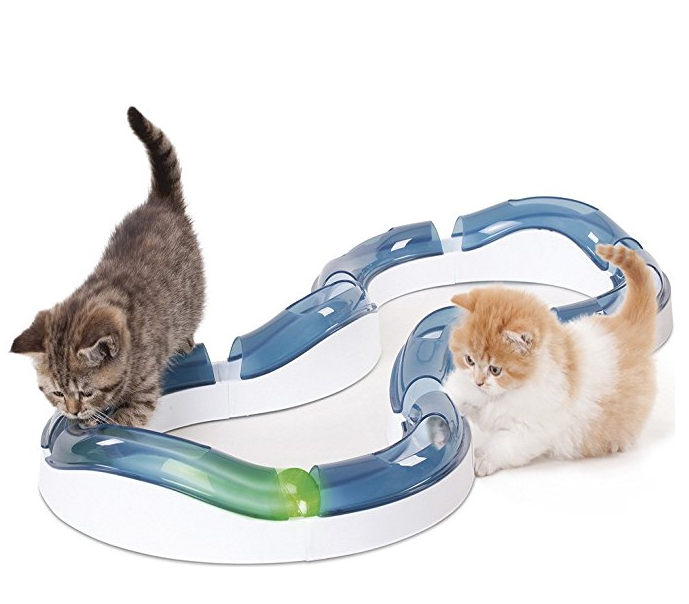 and more from Amazon … . In 1800s New York, the overlapping interests of middle-class families and the wealthy produced a cultural practice that’s still in place today. The practice of buying Christmas presents for children predates the spread of corporate capitalism in the United States: It began during the first half of the 1800s, particularly in New York City, and was part of a broader transformation of Christmas from a time of public revelry into a home- and child-centered holiday. In the nearly two centuries since New Yorkers instigated the invention of today’s Christmas rituals, American families have invested gift-giving and other widely practiced holiday traditions with their own unique meanings. Black Friday is the day after Thanksgiving, regarded as the first day of the traditional Christmas shopping season, on which retailers offer special reduced prices. Most Black Friday Sales go online when their Black Friday store sales start. Many stores offer their Black Friday Sale online – before Black Friday. However, Some in-store only Black Friday deals from few stores, may not be available online. Shop The Best Deals All Season Long at Walmart.com! WHAT IS BREAKTHROUGH JUNIOR CHALLENGE? The Breakthrough Junior Challenge is an annual global competition for students to inspire creative thinking about science. 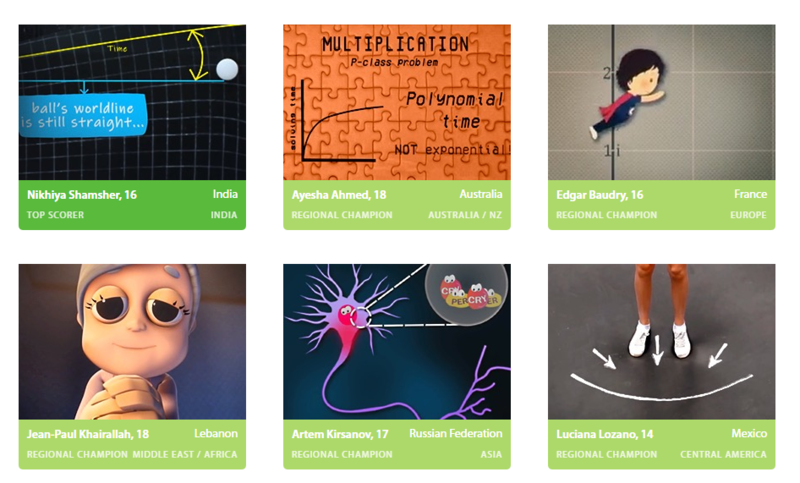 Students ages 13 to 18 from countries across the globe are invited to create and submit original videos (3 minutes in length maximum) that bring to life a concept or theory in the life sciences, physics or mathematics. The submissions are judged on the student’s ability to communicate complex scientific ideas in engaging, illuminating, and imaginative ways. The Challenge is organized by the Breakthrough Prize Foundation. The Breakthrough Prize was created to honor important advancements in the categories of Fundamental Physics, Life Sciences and Mathematics. The Breakthrough Prizes were founded by Sergey Brin and Anne Wojcicki, Yuri and Julia Milner, and Mark Zuckerberg and Priscilla Chan. The Breakthrough Prize aims to celebrate the best scientific work and inspire the next generation of scientists. 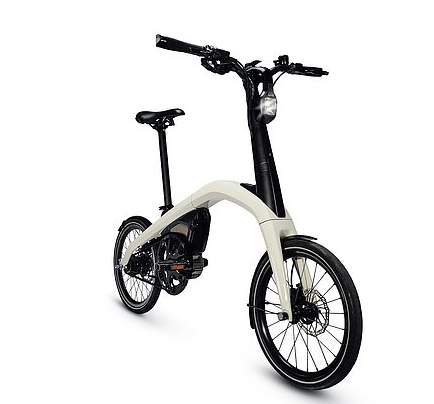 Come up with a great eBike brand name and receive $10,000 from GM! General Motors on Friday introduced two new electric bikes that it intends to offer customers beginning next year. GM asks enthusiasts from around the globe to help name our eBike brand using www.eBikeBrandChallenge.com. The challenge participant responsible for the selected eBike brand name will receive $10,000 and nine other participants responsible for runner-up submissions will each receive $1,000. How cute is this husky puppy? This funny video shows how cute husky puppy is. Recent case study showed that dogs can dance, and this is unbelievably provocative. Do Dogs Share with Their Friends? Dogs want their share of the attention, food, and other good things.